Over a week ago I received a pretty big package which was sent by the very nice folks at Vincita in Thailand. 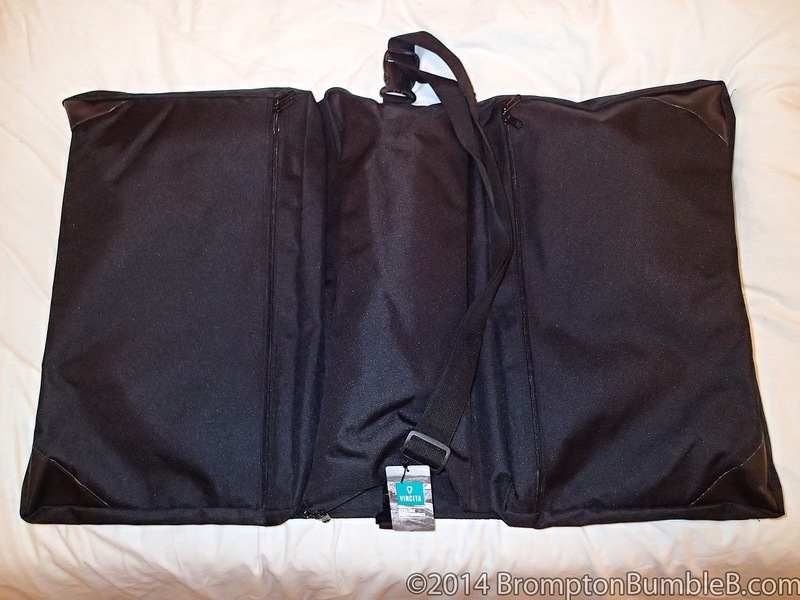 They sent us their new "Sightseer: The foldable transport Bag" for us to review. 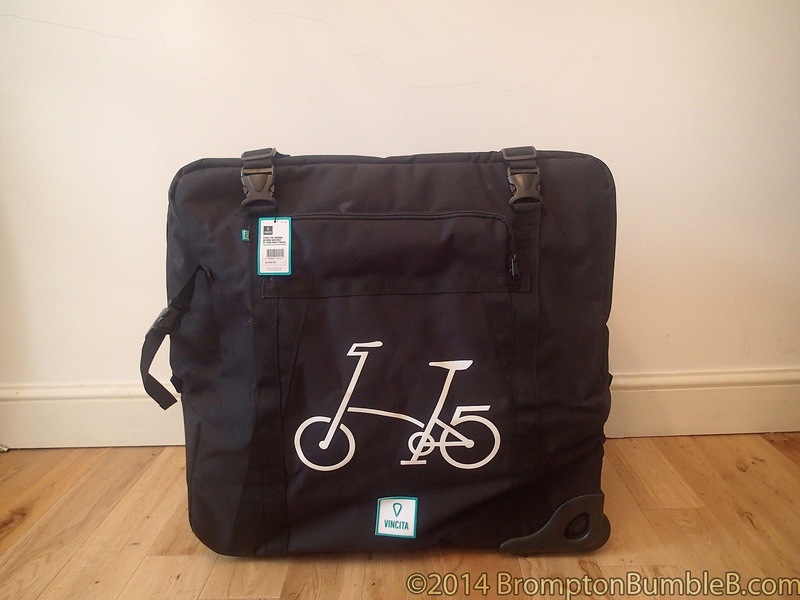 The "Sightseer" consist of B132B Soft Transport Bag for Brompton & B206B Garment Bag. 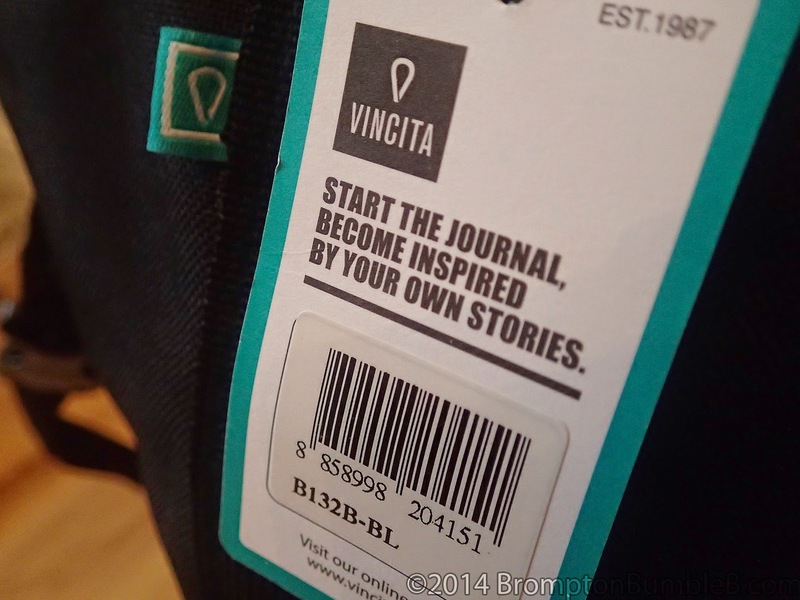 We shall be reviewing and giving our thoughts on the bags for transporting not just any Brompton, but a living LEGEND. So lets see if this "Sightseer" is up to the job eh? 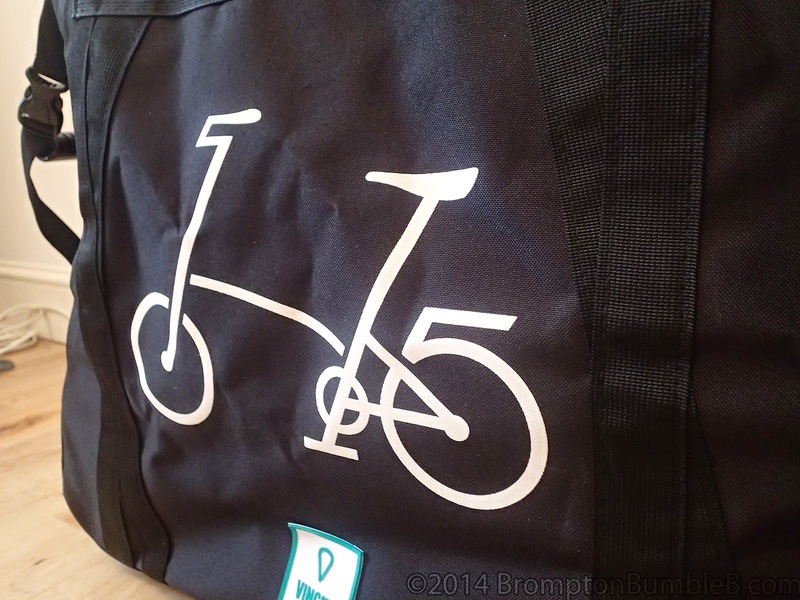 Not so sure about having a logo of a bike on the side but you can get a version of the bag without the logo if you wished. Nice to have that option if you don't like anyone knowing what's inside for your peace of mind. The materials used in the construction feel tough, hard wearing and able to withstand the riggers of travelling with a legend. 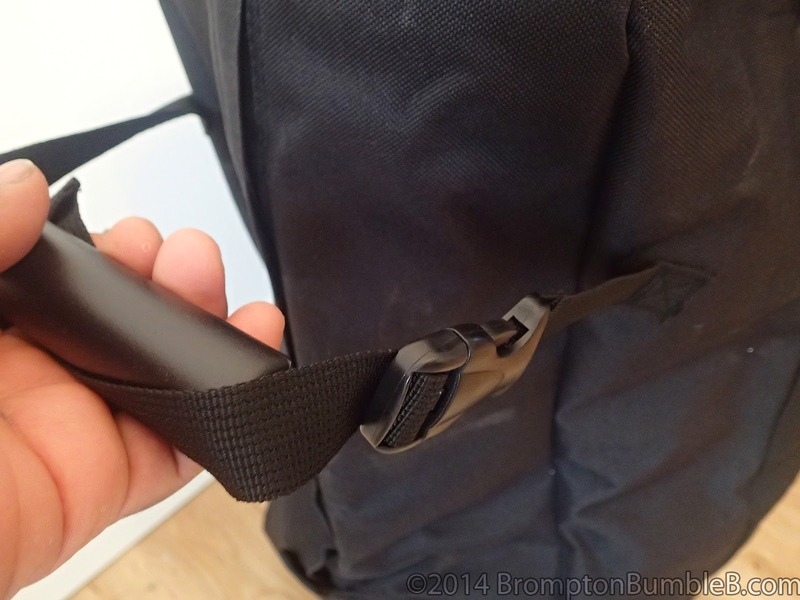 Nice big snap straps to keep the package in shape and contents safe from movement. Good placement for "dragging" the package around stations/airports. 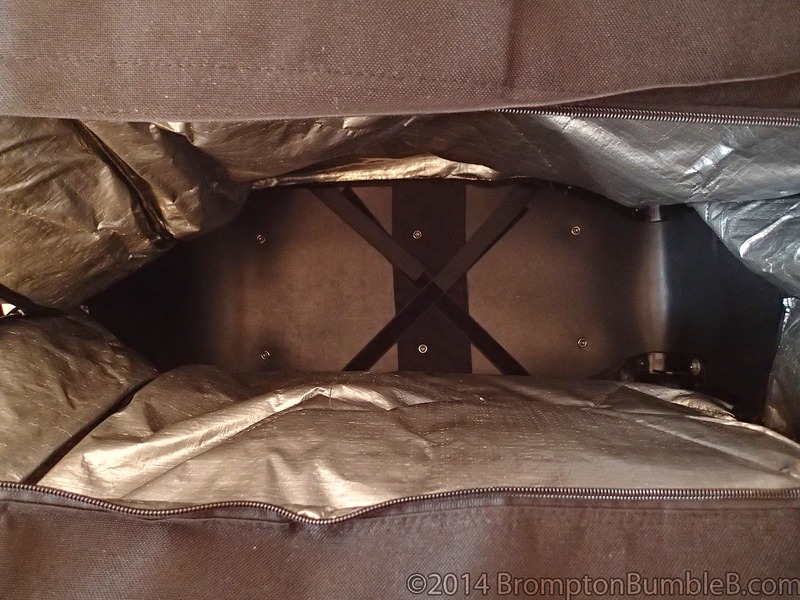 Silver padded inner lining & hard bottom to keep everything protected on the inside as well as straps to hold BumbleB in place. 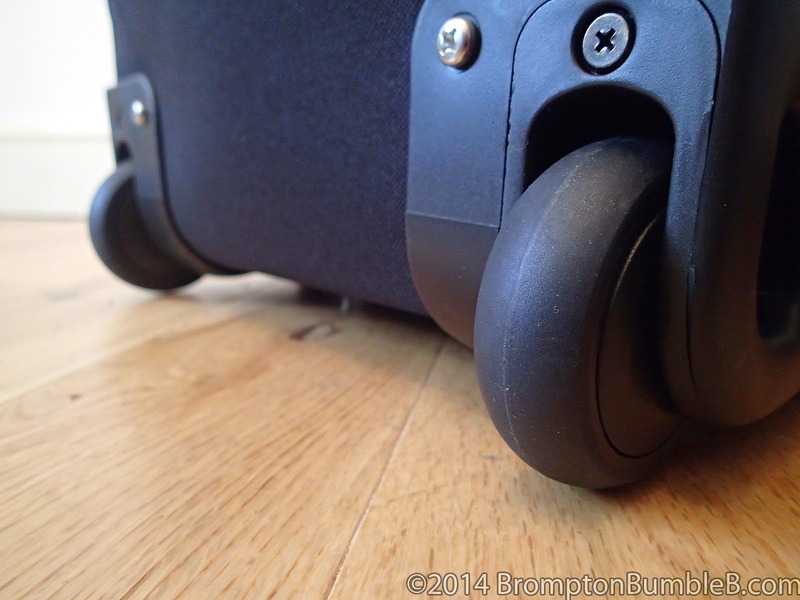 Robust looking roller wheels for easy rolling. As you can see BBB fits right in. Was a little fiddly at first getting BBB in there but its not like I've ever put BBB in a bag like this before. With practice it will get easier & faster. 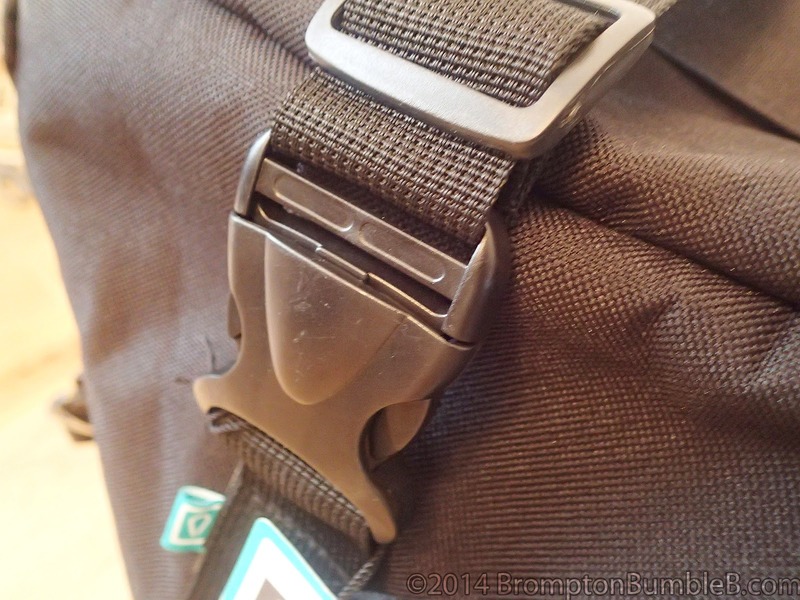 If you got extra bits on your Brompton then you may have slight issues but this is designed with the standard Brompton in mind. 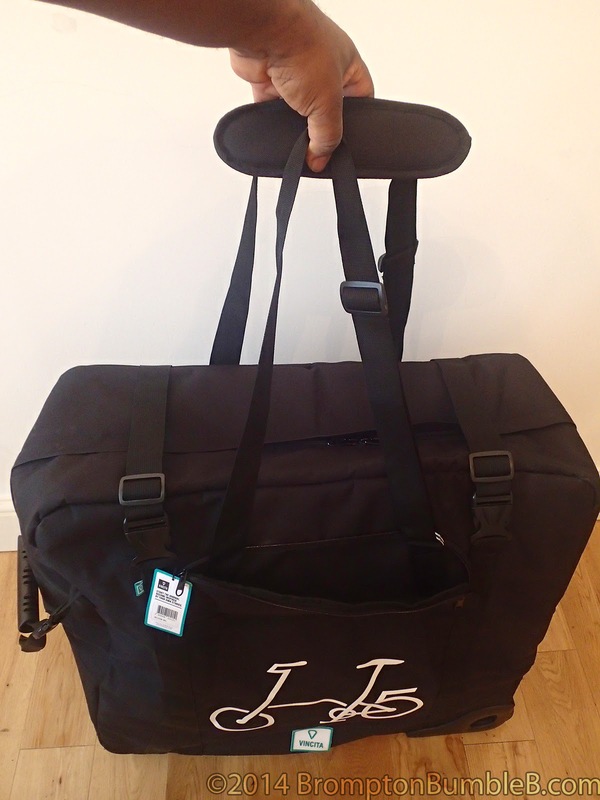 Even with my 2litre Carradice Zipped Roll Bag still attached with the B206B Garment Bag with my cycle clothing its a good tight fit. If anything I would give a little more protection for things that are protruding like (the in my case clip-less) pedals & the hinge clamps or just completely remove them and placed in a plastic bag inside just to make sure they don't get broken from being accidentally dropped etc. For my peace of mind, I'm VERY protective of my BBB. I have to say I'm liking the idea of travelling further in the future, maybe even cycling weekends and this would be perfect for that. Just single bag to deal with. 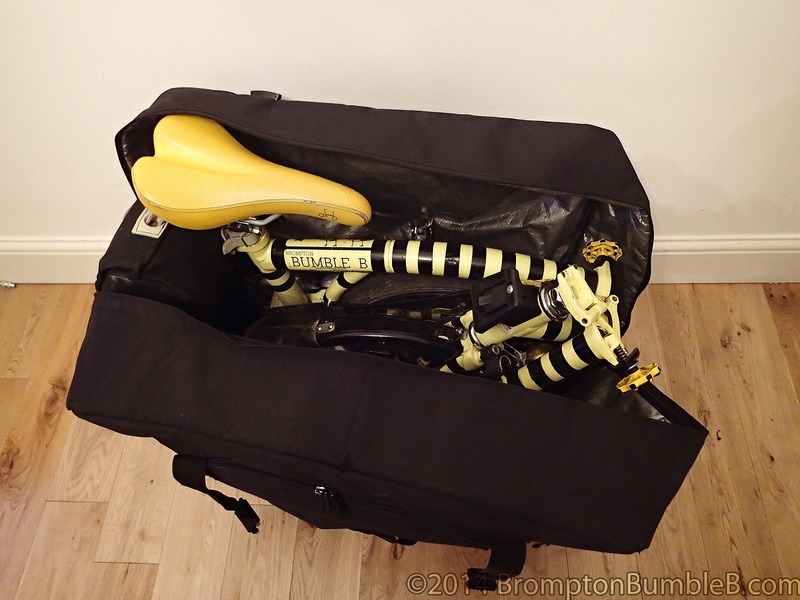 When the transport bag is not carrying BBB it has been designed to be folded & strapped to the Brompton rear rack so you can basically step off the train/plane/ship, unpack your Brompton, fold the transport bag with garment bag inside & strap the package on and off you go. Currently BBB doesn't have a rear rack but maybe in the future I may well install one if I'm going to be totally independent traveller. No Taxi, No Buses, No hassle, simples. So now I hear you ask, how much? Well its $159 (excluding taxes & shipping) so just over £100 at the current exchange rates at time of posting. Remember you may have to pay import tax if your getting this from overseas, so be aware of that unless you can find a local dealer. I'm currently unaware of any UK dealers. Vincita sent us "Sightseer" at no cost and for us to review how we saw fit. They also sent us a 2nd "Sightseer" set to give away to a lucky reader of our blog. We shall be doing another entry soon regarding this so please stay tuned.